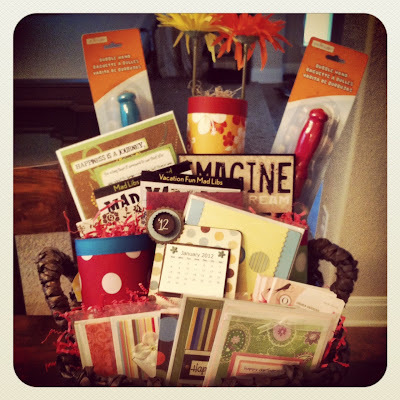 OSHEA DESIGNS - Customized Paper Goodies: Basket for school auction . . . Basket for school auction . . .
filled with OShea Design goodies!! Homemade flower vase, refrigerator calendar, handmade cards, notecards, notepad, mini journaling binder, and some other fun stuff!